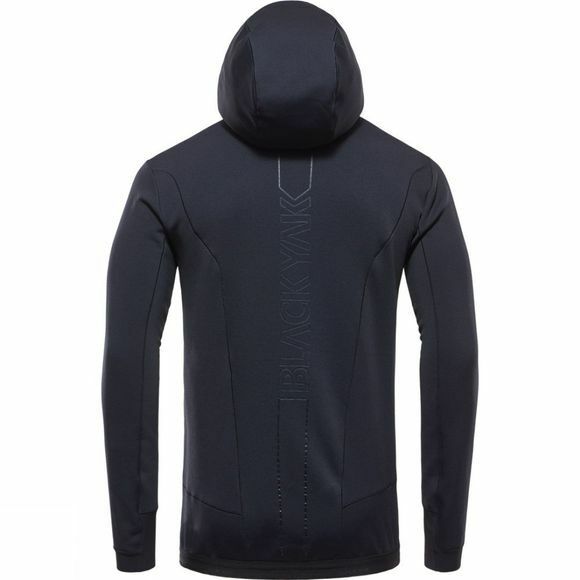 The BLACKYAK Hooded Silhouette Fleece is a superb functional item that has a very casual feeling. 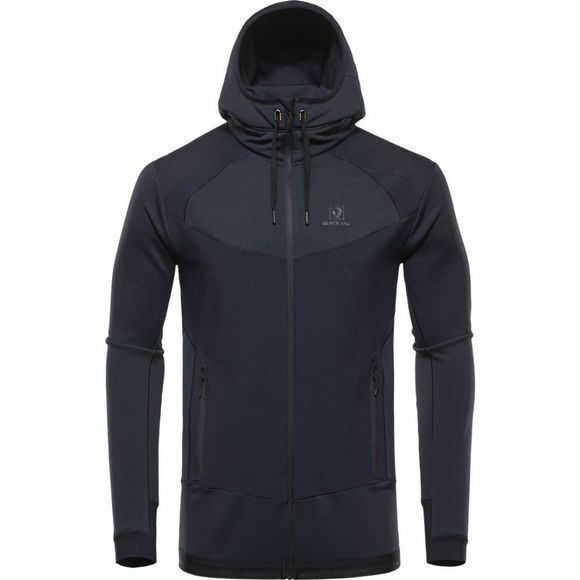 Produced using a combination of high loft fleece mixed with CORDURA® makes sure this item is warm and functional. The fleece jacket has been designed with a large hood and draw cord to lend a relaxed feel, two large hand warmer pockets applied with a bonded frame finish. The sleeve cuffs are finished with BLACKYAK's traditional inserted elasticated material with raw cut finish. This is complimented with our wide, branded hem elastic. The back side has the traditional BLACKYAK tonal branding. This Fleece jacket has been assembled using merrow (Active Stitch) producing a new and technical but uncomplicated look.